The school my three youngest children go to runs after-school activities, and I was part of a group of volunteers who ran an 'Advanced Scratch' course. 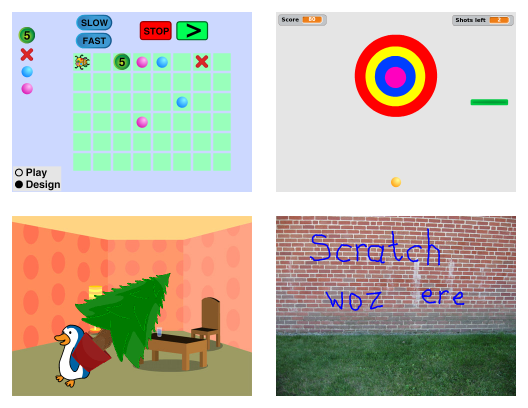 This was aimed at 10–12-year-olds who had done a reasonable amount of Scratch already, and wanted to explore more. We spent several sessions developing a much-simplified version of the great puzzle game SpaceChem, and then a few standalone projects. It went pretty well, with most of the students getting a lot done.